1996 MAZAK HTC-400 CNC HMC, DUAL PALLET, WITH MEZATROL M-PLUS CNTROL, 24 ATC, 40 TAPER, S/N 121320, 2 TUMBSONES. (MACHINE USED IN CERAMIC MFG FACILITY) 1995 MAZAK QUICK TURN, QT-15N CNC LATHE WITH MEZATROL T PLUS CONTROL, 8’’ CHUCK, TAILSTOCK, CHIP CONVEYOR, S/N 114078. 2) 1995 & 1996 MATSUURA RA-IIIF CNC VMC’S WITH PALLET CHANGER, WITH YASNAC I-80 CONTROL, 40 TAPER, 30 ATC, S/N 960511942, 950511425. 2) KIA 30A AND 30B CNC GANG TOOL TURNING CENTERS, WITH FANUC-0 CONTROL AND YASNAC CONTROL, S/N 300448, 30602. KIA TURN KT-21 CNC LATHE WITH YASNAC CONTROL, TAILSTOCK, S/N 21069. 1997 BRIDGEPORT ROMI EZ PATH II CNC FLAT BED LATHE WITH ANILAM 4200T CONTROL. 3) 2002 & 2004 SUPERTEC GRINDMASTER 24L AND ST-G25/GM CNC ID GRINDERS WITH FANUC Oi-MATE TC & FANUC O-TD CONTROLS. (MACHINES USED IN THE CERAMIC MFG FACILITY). 2) CHEVALIER FCL-1840A CNC FLAT BED LATHES WITH ANILAM 1200-T CONTROLS,. 6) CHEVALIER FCL-1840A CNC FLAT BED LATHE WITH ANILAM 4200-T CONTROLS. HITACHI SEIKI VM40II CNC VMC, WITH PALLET CHANGER, 20 ATC, 40 TAPER, SEICOS MIII CONTROL. 2) CHEVALIER FSG-1640TX, 16 X 40 HYD SURFACE GRINDERS. CHEVALIER FSG-1632TX, 16 X 32 HYD SURFACE GRINDER. 1999 ACCU CUT MODEL 6SI, 12 POSITION ROTARY DIAMOND BORE SIZING HONING MACHINE, S/N BSM-036. 2) SUNNEN HONE MBB 1600 HONING MACHINE. SUNNEN HONE MBB 1680 HONING MACHINE. SUNNEN HONE MBB 1650HONING MACHINE. LANDIS TYPE 3RH, OD/ID UNIVERSAL GRINDER, 24 X 48, NO TAILSTOCK, S/N 840-92. HARDINGE 2ND QUINCY QSVB-15 INDUSTRIAL VACUUM UNIT, S/N 96633H. CALLIGEN REVERSE OSMOSIS DI WATER SYSTEM. 5) NIMBUS LAMAR FLO HOODS. 2001 CBM SYSTEMS PACKAGING SYSTEM MODEL SA-315 OP LATHE. 10) 1997 HAAS VF-E CNC VMC’S, CT-40, 20 ATC. S/N 10990, 11055, 11079, 11078, 10710, 11077,10991, 10709, 10989, 11052. 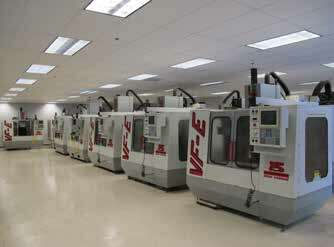 3) 2000 HAAS VF-0 CNC VMC’S, CT-40, 20 ATC, 20 HP.